Wendy Myers, MSW, LCSW is a Licensed Clinical Social Worker. She is the Director of Counseling at the Cancer Caring Center in Pittsburgh PA, which is a small non- profit organization that provides free care to patients and their families throughout the Pittsburgh and surrounding areas. She also established her own private counseling practice in 2017 offering support to clients with acute/chronic illness, caregiver support, grief/bereavement and women’s health issues. 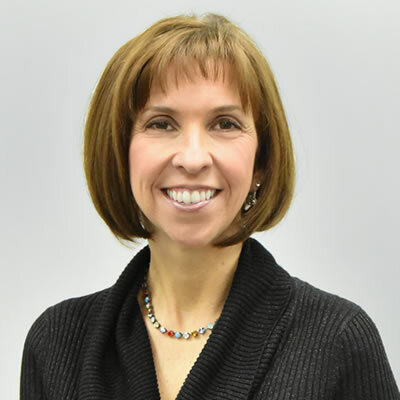 Wendy has worked as a medical social worker in various Pittsburgh area hospitals prior to her current roles offering support and resources to a variety of patient/family populations. She has also facilitated various cancer support groups over the past 23 years and currently facilitates a general cancer group, brain tumor group and a metastatic cancer group. Wendy has a personal history as a caregiver of cancer patients as she and her spouse cared for their 4 parents who battled 6 different types of cancer. She lives in Cranberry Township with her spouse and their 3 sons. Wendy is available for support and resource referrals. You can reach her at 724-933-0202 or wendyamyers@gmail.com.